Join the EU Sustainable Energy Week in Ukraine! The EU Delegation to Ukraine together with its international and Ukrainian partners is traditionally preparing the next edition of the European Union Sustainable Energy Week (EUSEW) to be held on June 22-28, 2014. EU Sustainable Energy Week (EUSEW) is an initiative of the European Commission that first took place in 2006 with hundreds of participants each year. The EU Delegation to Ukraine together with its international and Ukrainian partners is traditionally preparing the next edition of the European Union Sustainable Energy Week (EUSEW) to be held on June 22-28, 2014. For the 4th year in a row, through bottom-up efforts organizers will connect directly with citizens and energy stakeholders to explain through different activities, events and campaigns what sustainable energy and energy efficiency is. From year to year our joint efforts are contributing to building sustainable energy future of Ukraine. This year a number of activities will be organized by the EU Delegation, its Member States and partners across Ukraine to promote renewable energy and energy efficiency. You are warmly invited to take part in the EU Sustainable Energy Week through launching your own campaigns and events related to the topic of the week on June 22-30. To join the program please fill in the registration form by May 30, 2014. EU Sustainable Energy Week (EUSEW) is an initiative of the European Commission that first took place in 2006 with hundreds of participants each year. It is part of the Sustainable Energy Europe Campaign, which aims to achieve the EU’s energy policy targets within the areas of renewable energy and energy efficiency. In 2011 Ukraine joined the EU Sustainable Energy Week for the first time. Between 11 and 15 April, the cities of Kyiv, Lviv, Poltava and Kovel hosted events to promote renewable energy. In 2012 EU Sustainable energy week was held within the European Village initiative in Kyiv near the Arch of Friendship. 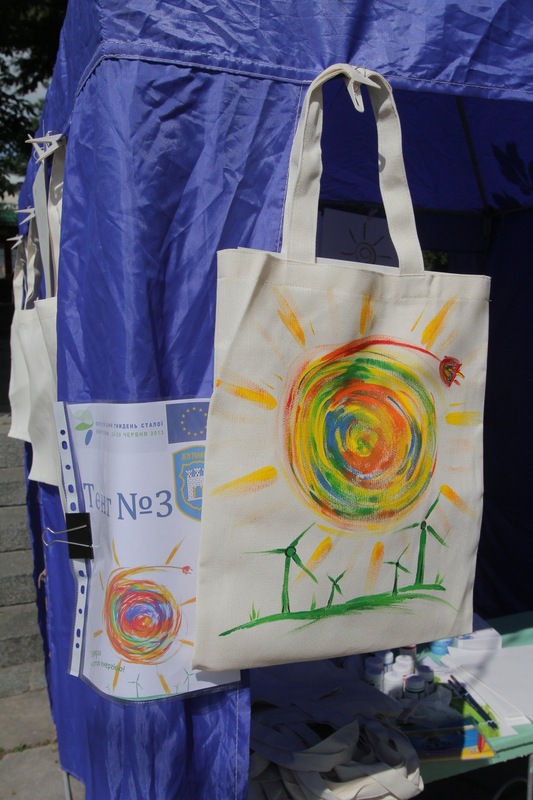 In 2013 EUSEW united over 28 event across Ukraine with a bright opening hosted by the EU Delegation in Zhytomyr.